When you think of all the great things about the region of Umbria in East-Central Italy, the list gets pretty long. Mountains, sculpted valleys – in fact, endless landscapes, fascinating medieval villages and towns, wonderful people, killer food… it’s easy to go on and on. 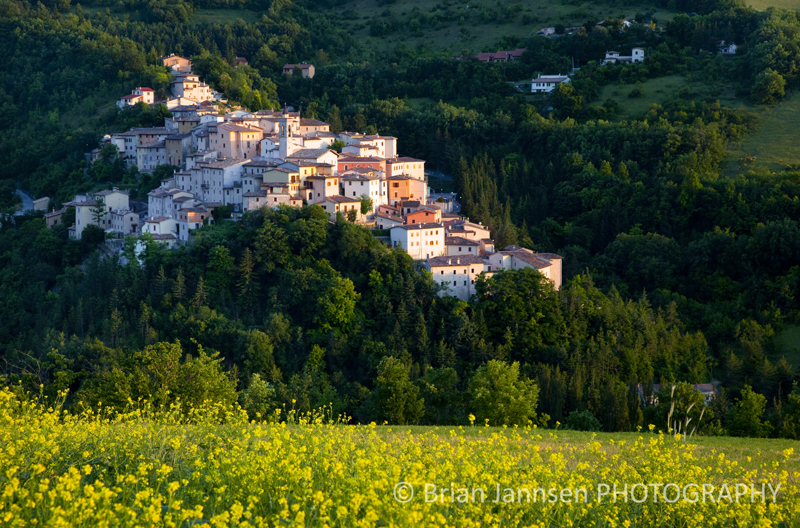 The Monti Sibillini National Park is home to some of my favorite Umbrian memories. So much so that I bring a group of photographers back every year in one of my Photography Tours. If you’d like to be one of those photographers in June 2012 – there is still space. Click Here. 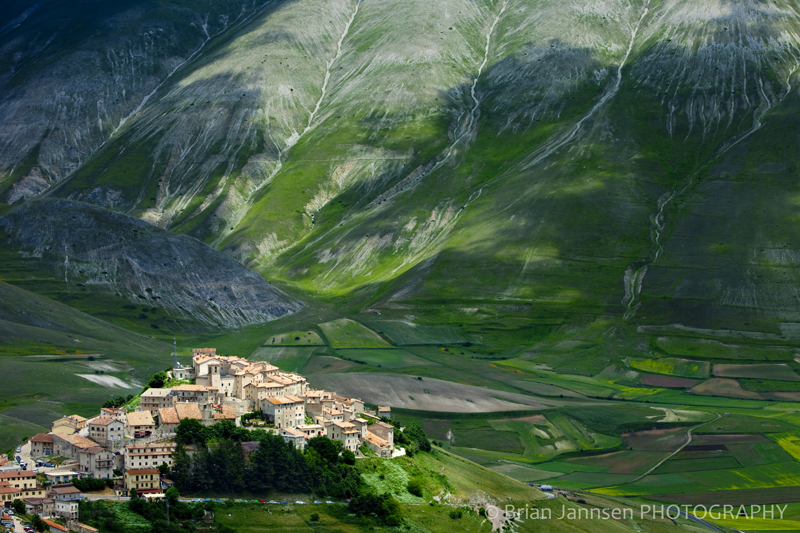 Most of my time is spent roaming the vast mountainous areas overlooking villages like Preci, Norcia, Castel Vecchio and Castelluccio. But once the shooting stops, it’s time for FOOD!! Norcia is home to some of the best cooking I’ve ever had – with local cheeses, truffles and wild boar (my favorite) – all washed down with great vini. One evening my wife and I walked into town to one of our favorite restaurants – the staff greeted us (by now they had seen us a number of times). As usual, the dining room was full of people – most in some animated form of conversation, but all enjoying their food. We sat in our usual seat – tonight we were next to a priest, his friend and a nice tourist couple from Germany. Our waiter (Luciano) approached with a bit of a frown – we had to ask what was wrong. He said you can eat here tonight but you’ll have to hurry. We knew that it wasn’t closing time, no one was waiting for our seat – we were confused. Luciano went on to say that the football match started in 20 minutes and he was going to be watching it on TV. Such is the importance of football (soccer) in the lives of the Italians. This match happened to be one of the first-round games of the 2010 World Cup. Of course this was a big deal. We ordered quickly, paid the bill before the food even arrived, and true to form the entire restaurant was emptied in 20 minutes time – leaving only us, the priest and friend, and the German couple to finish our meals. Quiet, enjoyable, certainly tasty – but just the six of us. Outside in the main piazza someone had set up a large TV. A crowd gathered, and for 2 1/2 hours there was a Superbowl party happening below the ancient statue of San Benedetto in Norcia. 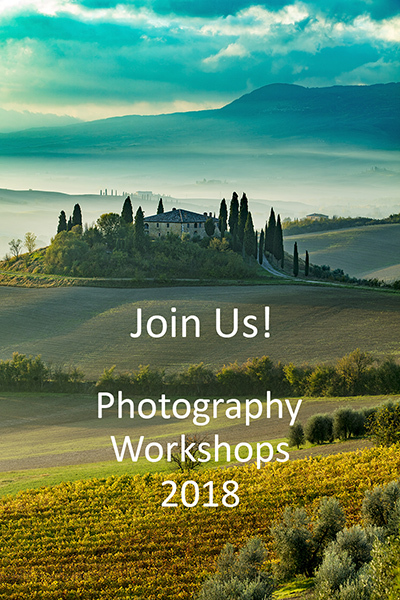 Come join us next June for one of two weekends photographing Umbria! Wonderful tale you tell, especially the food but sorry you couldn’t take your sweet time with every delectable bite served in this bistro. My mouth is watering just reading this article. 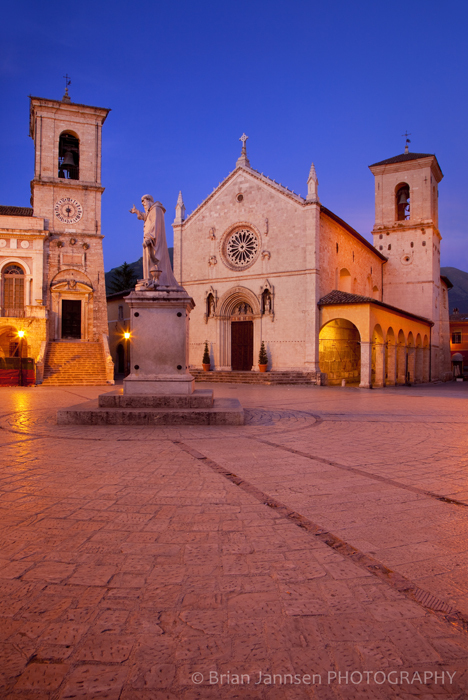 Of course, magical images of Italy…so warm and beckoning! Stunning, that first shot is immense and sets the tone perfectly.